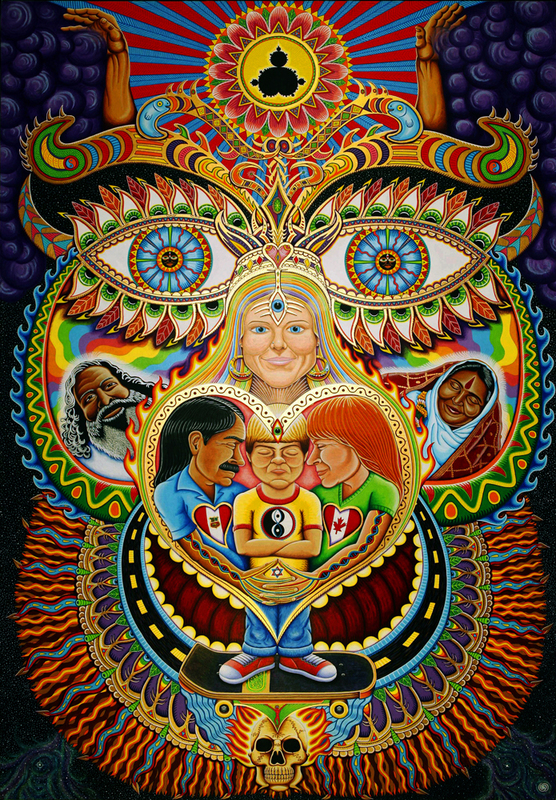 Chris Dyer grew up in Lima, Peru up to the age of 17 and then moved to Canada to study art for several years. He’s now based in Montreal, where he works as a freelance artist. 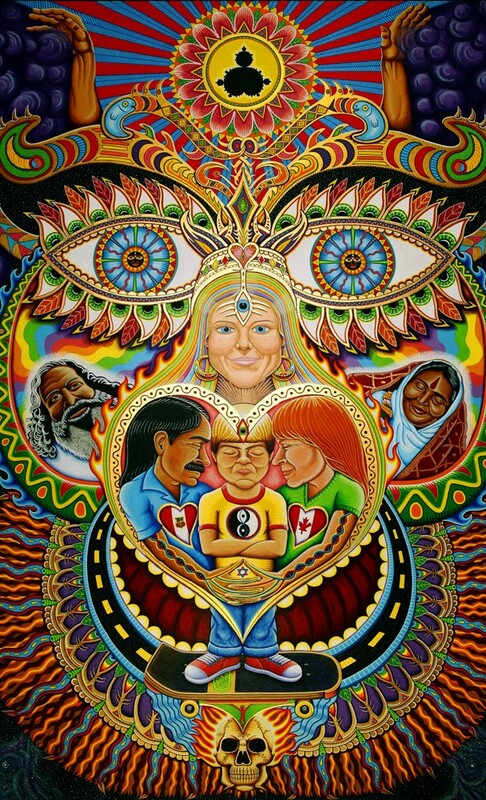 Chris is better known as the artist who does colorful detailed spiritual expressions on recycled skateboards. These soulful expressions have been exhibited in solo and group shows in several galleries around the world including San Francisco, New York, Mexico, Peru, Belgium, Paris, and all over Canada and the United States. Other than his fine art, Chris also takes many commercial commissions like the many skateboard companies he does graphics for, cd cover for musicians, t-shirts designs for clothing companies (including his own), magazine illustrations and advertisements, toys designs, etc. Chris’ positive creations have been featured in several magazines all over the world, as well as a few books (including one of his own). A full feature movie of his life and art will be released in summer of 2010.